How Can An Expert Witness Help My Personal Injury Claim? 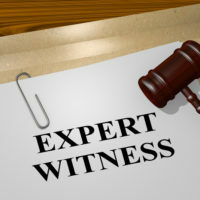 An expert witness is considered to be a person who is extremely qualified to provide relevant information to judge and jury, by virtue of their particular knowledge, training, skills, or experience in a specific field. They often have the kind of technical knowledge or scientific knowledge that gives them insight into injuries or accidents, so that they can provide powerful testimony on your behalf at a trial. Often in personal injury trials and other litigation the most compelling testimony provided is given by an expert witness. For this reason, bringing in an expert witness for your case is always worthy of consideration. You should always consult with an experienced Alabama personal injury attorney to determine the value of an expert witness and whether the cost of hiring an expert is justifiable. There are two general types of expert witnesses which might add value to your case, both of which are most often retained in cases involving personal injury claims. A consulting expert has the knowledge to explain and clarify the most important issues and details surrounding your claim, while a testifying expert will actually deliver courtroom testimony before the judge and jury in your case, relative to their field of expertise and the elements of your case. By far the most common expert witnesses involved with personal injury cases are those from the medical and healthcare industries. Others of course can be very valuable too, for instance an automobile expert, who can provide expert testimony about the mechanical operation or failure of car parts when an accident resulted from such mechanical failure. In some situations, experts in the field of forensics can also be valuable in making a case for your personal injury claim. Included in the broad field of forensics are experts who have detailed knowledge of chemistry, biology, psychology, and even criminal behavior. Some forensics experts can draw precise conclusions from a thorough examination of evidence at the scene of an accident, and by analysis of that evidence under laboratory conditions. When you’ve been injured in any kind of accident, proving negligence will establish the legitimacy of your claim, but then it also becomes important to prove how badly you’ve been injured, and what impact those injuries have had, and will have on your life in the future. For this, you may require the testimony of a medical expert, who can testify on your behalf about the nature of your injuries. The medical expert’s intimate knowledge of bodily function can make him/her a compelling witness, when it’s necessary to establish the severity of your injuries, and whether they will have long-term or even permanent effects. If you have suffered chronic anxiety or distress, and possibly even mental illness as a result of an injury, a psychiatrist might very well add strength to your claim by explaining to the court how a traumatic personal injury can impact mental health. Is expert testimony really needed? Personal injury cases do not require that expert witnesses be called in support of your case, but many cases do actually hinge on the testimony provided by such experts. Because their background imparts a significant degree of credibility, expert witnesses have the potential to significantly improve your chances of success in your personal injury claim. The nature of personal injuries is such that there can be a great many complicated issues or questions revolving around the key actions in your claim. When there are no eyewitnesses available who actually observed those events, your own recollections and statements may be the only available information which a judge has to evaluate in a personal injury claim. 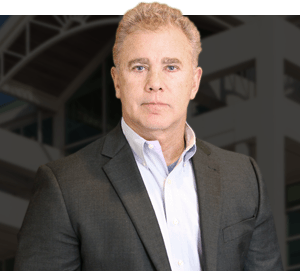 This alone is often not enough to win a personal injury case, so it takes all the skill and knowledge of a dedicated Mobile, Alabama Personal Injury Attorney like Gary Fillingim, to build a more compelling case on your behalf. To accomplish this, the experienced and aggressive personal injury attorneys at he Law Offices of Gary Fillingim will conduct a thorough examination and investigation of all circumstances contributing to your personal injury accident, in an attempt to identify whether negligence was involved on someone’s part. If you are involved in an accident with a large truck for instance, and there were no eyewitnesses to the collision, it might be difficult to prove that negligence was involved. By gathering all available evidence and discussing it with a professional accident reconstruction expert, it is very possible that such an expert could provide expert testimony in court about what really caused the accident, and whether someone’s negligence came into play. The Law Office of Gary Fillingim has established relationships with all types of experts that could provide vital testimony in your personal injury case. If you or a loved one has been injured as a result of the negligence of another, it is imperative that you hire an experienced and aggressive Alabama personal injury attorney. At the Law Offices of Gary W. Fillingim, our knowledgeable, aggressive and trial ready Alabama accident injury attorneys will use their extensive experience and strong relationships with experts to help you build a strong case and put you in the best position for maximum recovery. The consultation and evaluation are always free and we never charge you anything until we recover for you. Don’t wait call us now for your free evaluation at (251) 445-7257 or at fillingimlaw.com.